The State of Independence Where America Starts is a perfect description for Pennsylvania. Well known for its Amish settlements and American independence, what you probably don’t know is that Pennsylvania is one of the most diverse states in the US. Besides Independence Hall and the other incredible historic landmarks in Philadelphia, there’s also the American Civil War Museum in Harrisburg for a very balanced telling of the story and the new Visitors Center at Gettysburg where the restored diorama will knock your socks off. The Omni in Bedford Springs has been restored to its Gilded Age glory, contrasted with the Pocono Mountains which was home to the first leisure resort in the country. 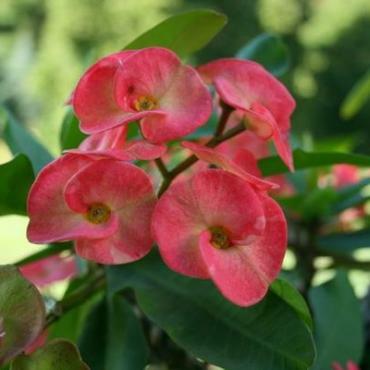 And there’s more, astounding fall foliage, the Brig Niagara and the Carnegie Museums. Couple all this with Washington, DC and you have an unforgettable trip. 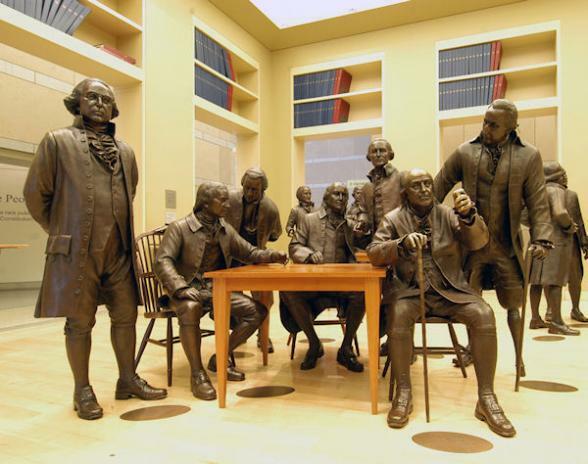 Visitors can relive the beginning of America at Independence National Historical Park which includes Independence Hall, Congress Hall, where the upper and lower houses of the US Congress first convened and Carpenter’s Hall, where John Adams, Patrick Henry, George Washington, Thomas Jefferson and other delegates to the First Continental Congress began it all in 1774. 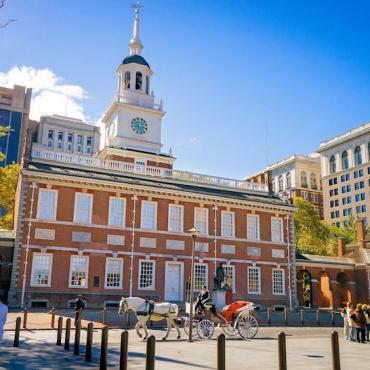 A timed admission ticket to Independence Hall will eliminate any waiting in line and give you more time to see the city. The Liberty Bell is close by, as is the new dig of George Washington’s residence that is causing a lot of provocative conversation. 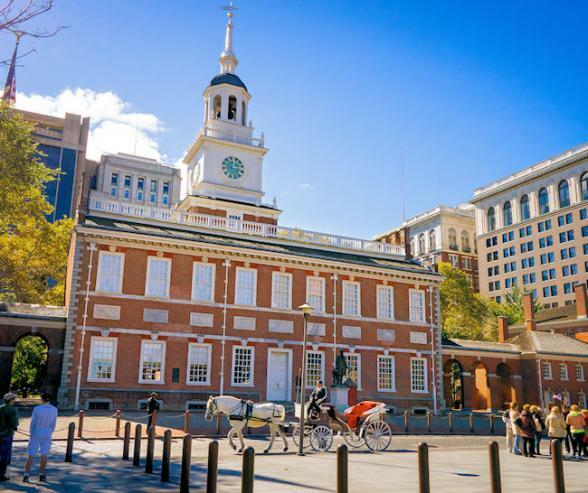 After visiting Independence National Park, we suggest taking the Philadelphia Trolley or a horse driven carriage ride to get an overview of the city. Similar to Boston and Charleston, the streets of Philadelphia’s old neighbourhoods are narrow and lined with historic town homes and gracefully detailed structures. While in town, you have to try a Philly Cheese steak at Steaks on South, not far from the Liberty Bell and Independence Center. 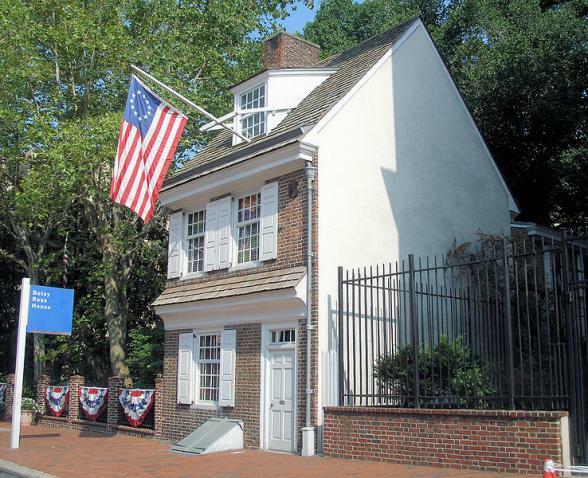 Enjoy evening entertainment that can include an Independence After Hours program to include a three course dinner at the City Tavern, a 1776 Walking Tour and the Lights of Liberty Show. The Philadelphia Art Museum, with its extensive collections and featured exhibitions is certainly one of the major highlights of Philadelphia. Recreations of an Italian Colonnade, a Japanese Tea House and a Middle Eastern temple with massive winged beasts are surrounded by rooms of arms and armour, early American artifacts, medieval tapestries and ancient objects. In between, you’ll discover gallery after gallery of some of the world’s finest paintings and sculptures by major artists. 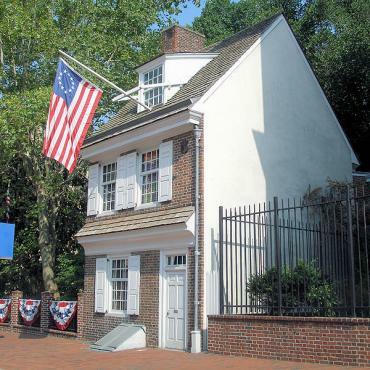 More Philadelphia greats await at the home of Betsy Ross, the seamstress who stitched the first American flag in 1776 and Elfreth’s Alley, the oldest continuously occupied street in America, dating from 1702. The Rodin Museum is home to the largest collection of the master’s works outside the Musee Rodin in Paris, France. Philadelphia has The Thinker, John the Baptist, The Cathedral and The Burghers of Calais, as well as drawings and sketches and The Gates of Hell. To maximize your visit, you may want to pick up a Philadelphia Pass with multiple discounted admissions. There’s a lot to do and a lot to pack into two days here. Of course, you can always return on another visit and enjoy a 3, 4, or 5 day City Break to experience Philadelphia more completely. America’s Capital Region has always been rich in history and the American experience and now is even more interesting with cutting edge culture, wild and wonderful landscapes, fabulous food and wine trails. 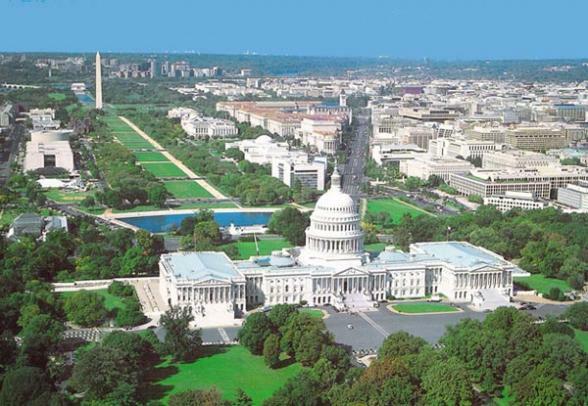 Built more than two centuries ago as the new capital of the United States, Washington DC is one of the youngest and most powerful capital cities on the globe. It is peppered with impressive and moving monuments and memorials, broad tree-lined avenues that are more like Paris than a modern American city and more. Even if you’ve visited before, new monuments are always being added and many museums have recently expanded. 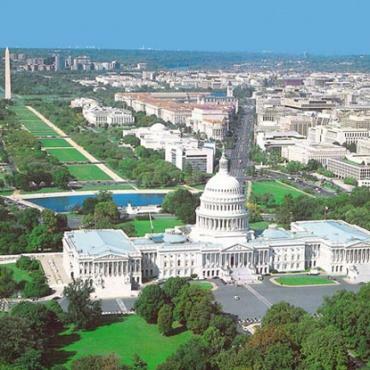 You can start your visit at the US Capitol Complex, which includes the Capitol Building, House and Senate Buildings and the US Botanical Gardens. Standing on the Capitol steps looking out you can see the National Mall, a nearly two mile green space between the Capitol and the Lincoln Memorial which is lined with monuments and museums. The Washington Monument stands in the centre between the two. The cross axis of the Mall is anchored by the White House on one end and the Jefferson Memorial on the other. 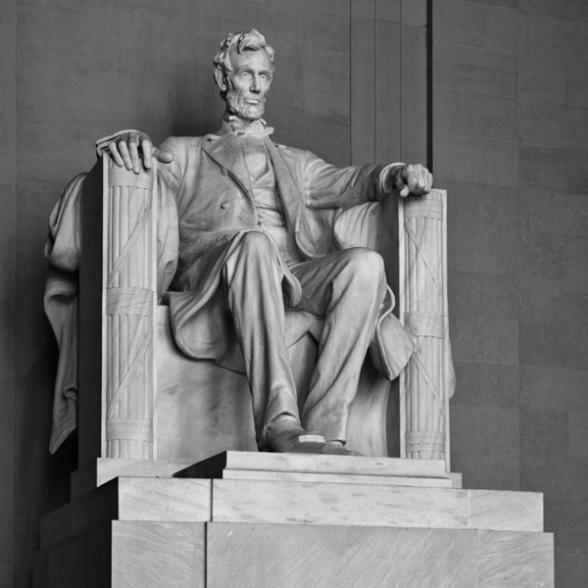 The In addition to the key anchors of the National Mall, the US Capitol, the Lincoln Memorial, and the Washington Monument, the rest of the monuments and memorials on or near the Mall could fill your entire trip to Washington, DC. You’ll want to visit all the key locations on the National Mall in Washington, DC. In between, this expanse of green is lined with the finest of Smithsonian National Museums, and from the Washington Monument it is a clear view to the White House. 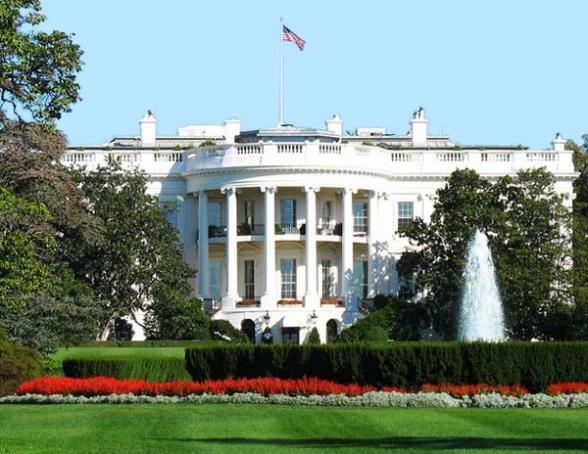 Quite honestly, the memorials, monuments and museums on or near the Mall could fill your entire trip to Washington! Even though most of the attractions are free of charge, careful planning will make your trip most rewarding. Some attractions require timed tickets, so think about it ahead of time, what are the sights that you want to see, and plan accordingly. The list of museums to choose from is extensive: The Hirshhorn Museum and Sculpture Garden, National Air and Space Museum, National Museum of African Art, National Museum of American History, National Museum of Natural History, National Museum of the American Indian and the United States Holocaust Memorial Museum. Memorials on or near the Mall include the Franklin Delano Roosevelt Memorial, Korean War Veterans Memorial, Lincoln Memorial, National World War II Memorial, Thomas Jefferson Memorial, United States Navy Memorial, and the Vietnam Veterans Memorial. You may want to focus on one or two museums that interest you the most and then in the evening, see the monuments and the memorials from a different light. 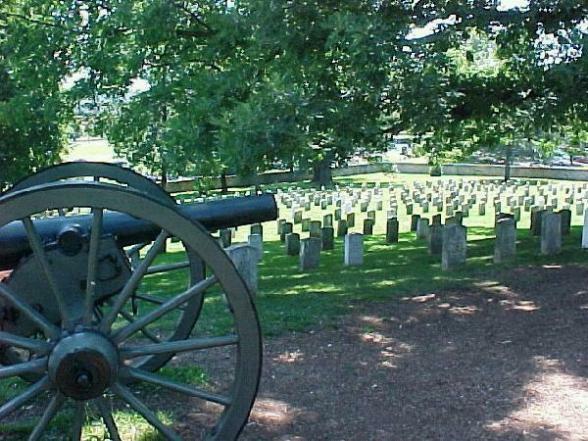 At the Gettysburg Battlefield, you can almost hear the drums of war still beating within the stilling silence. In this place, where the fate of America changed forever, the landscape has been preserved to tell the story of war, yet honour the soldiers who fought valiantly for their cause. It was at Gettysburg that the leaders of both the Union and Confederate armies who would ultimately play out the Civil War to its end, first met in gigantic and carefully strategized battles. All seemed to understand that the outcome of the war would be determined on these grounds. Whomever prevailed would be likely to conquer. In a bold attempt to invade America’s capital city, the Confederate army amassed thousands of troops ready to open a gateway to take Washington, DC from the north. The Union understood that the ground had to be held at whatever cost, otherwise the war would be lost. President Abraham Lincoln also understood the gravity of the situation when he delivered what some consider to be one of the world’s best orations. Having stood the test of time, his eloquent words still stir the emotions when delivered even today. 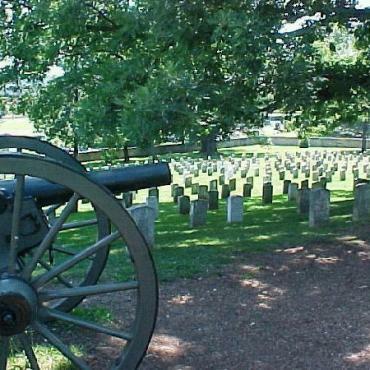 However, within all of this important history, Gettysburg is more than just about battles. Founded in 1797, more than 60 years before the Civil War, the town was settled by Scots-Irish settlers on their way to the Shenandoah Valley. Original buildings from this era still stand on Lincoln Square. Now surrounded by great antique shopping, vineyards, neighbouring historic villages and quiet timeless countryside, Gettysburg stands as a hallmark to its important history, complemented with the thriving life and rich culture of southern Pennsylvania. More scenic drives await today as you move from the Laurel Highlands to the Bedford Springs Resort – newly renovated and appointed by Omni Hotels. 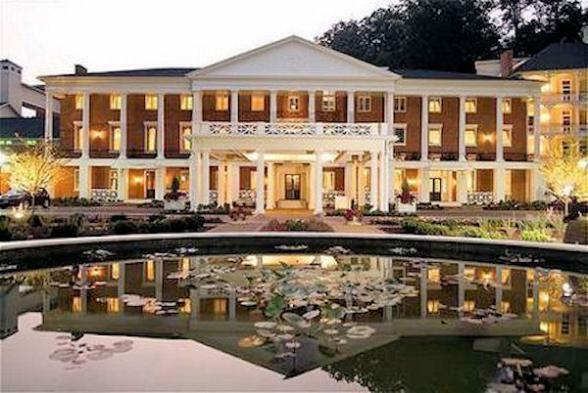 Thanks to the resort’s unprecedented $120 million facelift, you can enjoy Bedford Springs, where eight mineral springs became the famed Mecca of rejuvenation. The resort opened in 1905 with one of the nation’s first indoor pools, fed by the property’s spring waters. A decade before that, Spencer Oldham laid out one of America’s first golf courses on the property. Famed golf course designed Donald Ross remodeled the course in 1923, still available for playing today. 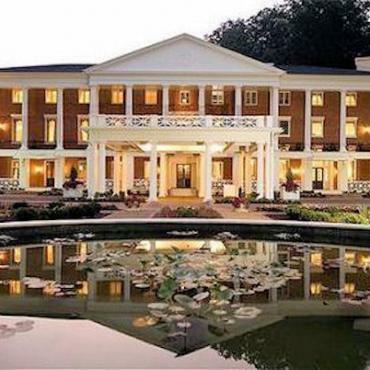 Presidents from James Buchanan and James K. Polk to Ronald Reagan have stayed at Bedford Springs. If you want to do more than just relax in these wonderful surroundings, you can take a guided hike at the resort or have a massage or other spa treatments. Before dinner you can visit the Briar Valley Vineyard and Winery, which styles its wines after classic European varieties. Enjoy a sumptuous Pennsylvania meal this evening in the 1796 Room. 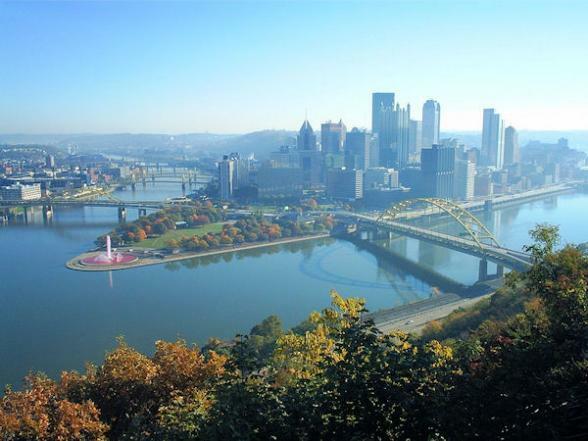 Built at the meeting point of the Allegheny, Ohio and the Monongahela rivers, Pittsburgh history evolved from its strategic location at the headwaters of this key intersection. 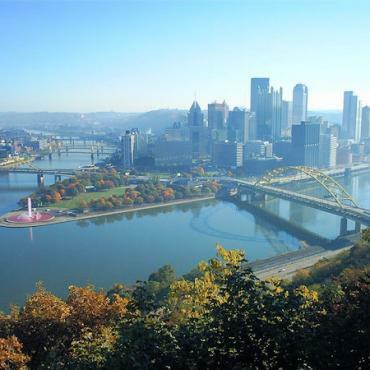 A settlement was established by the Native Americans well before English settlers arrived to built Fort Pitt. A ride on one of the city’s Gateway Clippers will take you out onto the rivers for a great perspective on the whole city. The Carnegie Museums of Pittsburgh, cousins of Carnegie Mellon University, include the Museum of Art, the Science Center and the Museum of Natural History. The Senator John Heinz History Center, Pennsylvania’s largest history museum is also worth a stop. A multitude of artifacts, interactive exhibits, along with the heritage of the southwestern Pennsylvania region. America’s favourite condiment, Heinz Ketchup, was invented here, as was the Big Mac. You can even try a restaurant serving locally grown food or a farmers market visited daily by various chefs. 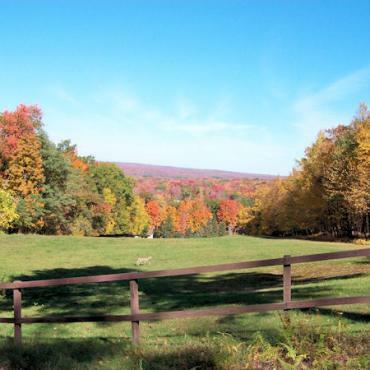 You have the opportunity today to take a drive into the countryside surrounding Pittsburgh. It’s amazing that farmland, covered bridges and quaint towns can peacefully coexist with such a large city. 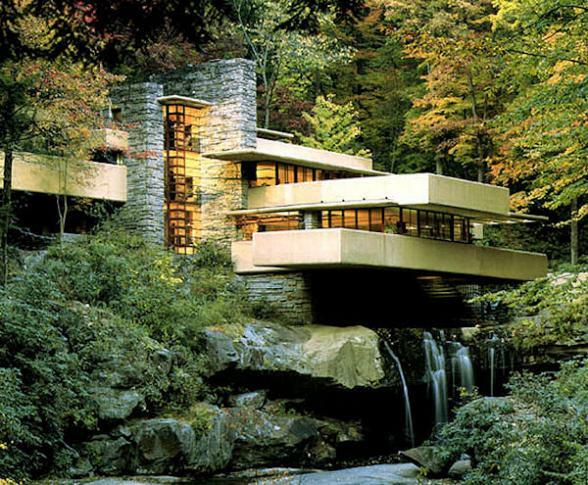 Fallingwater, Frank Lloyd Wright’s architectural masterpiece is located outside a tiny village in southwestern Pennsylvania. 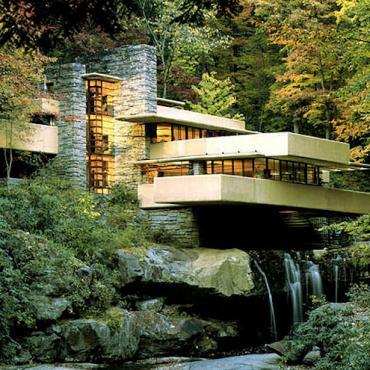 Built over a waterfall, it remains an enduring work of art. Severaltypes of guided tours are available, as well as a separate tour at another of Wright’s designs, Kentuck Knob. Nearby, Meadowcroft Rockshelter and the Museum of Rural life are must sees as well. Meadowcroft Rockshelter is the site of the oldest human habitation in America. You can try using an atlatl, a prehistoric spear-thrower like those used by Meadowcroft's first inhabitants. Meadowcroft Village lets you experience elements of everyday family life in the 19th century. Watch a blacksmith forge red-hot iron or enjoying fresh-baked bread from the open hearth. If there is any time left in your day, plan to meander the scenic byways of the Laurel Highlands on the way back to your accommodations in Pittsburgh. Today you’re on your way to Williamsport. This quaint town once had more millionaires than anywhere else in the United States. Lumber barons, they were; making millions of dollars on miles and miles of trees. Block after block of Millionaires’ Row still stands proudly, paying tribute to these wealthy Pennsylvanians. Take the walking tour or catch the Williamsport Trolley, to have someone else drive while you listen to the story. The Rowley House Museum is literally encrusted with intricately detailed mahogany, cherry, maple, walnut and oak. Because Mr. Rowley owned the electric company and the gas company, his high Victorian lifestyle was the 1890s version of high tech, high touch, with electric lights and modern gas log fireplaces. 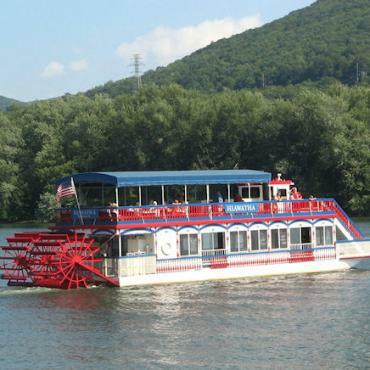 After you’ve marveled over the baron’s residence, a cruise on the Hiawatha Paddlewheel Riverboat will be a good opportunity to let any stress you brought fly off on a gentle breeze, as this authentic paddle wheeler plies the river. The last cruise is at 4PM, unless a special evening event is planned. If you want to stay in the Millionaires’ Row tradition, have dinner at the Peter Herdic House, voted the most romantic fine dining in the region. 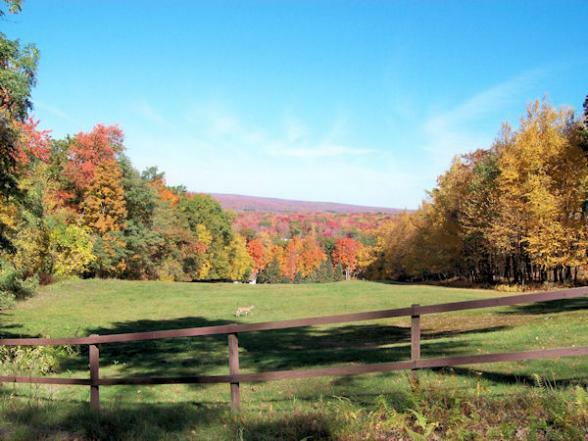 The Pocono Mountains have been a leisure playground since 1829. There’s fresh, cool air, race cars, waterfalls, awesome scenic roads and railroads. From the building of the first boarding house hotel that created a wildly successful resort industry, the Pocono Mountains have welcomed visitors from all walks of life. In each season of life, the destination has grown more gracious, incorporating heritage from the past into each succeeding decade, while retaining the outdoor environments the region is so famous for. Today, waterfalls coexist peacefully with water parks, hot tubs with history, and honeymoons with heritage. You can enjoy the best of 2,400 square miles of playground teeming with activities and attractions. Meandering scenic drives are enhanced with an unending parade of awesome natural environments. Natural beauty shines in no less than seven National Park Service affiliated locations. The arts are well represented too as well as flight seeing, active water sports and other activities of particular interest. 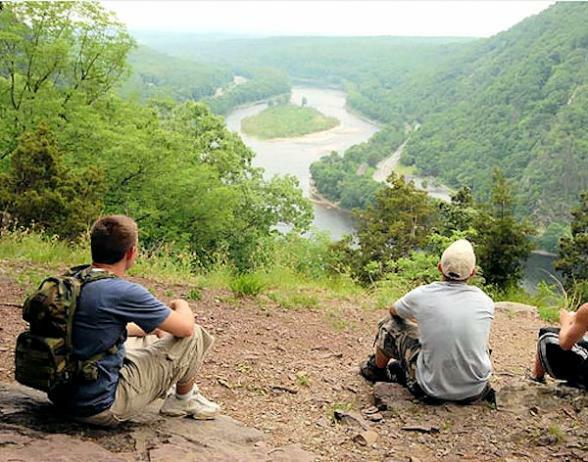 One of the highlights of the Pocono Mountains, the Delaware Water Gap National Recreation Area is less than 90 miles from Manhattan, and winds along 40 miles of the Pennsylvania New Jersey border. This is some of the most pristine water in America and supplies 10% of the country’s population with fresh drinking water. 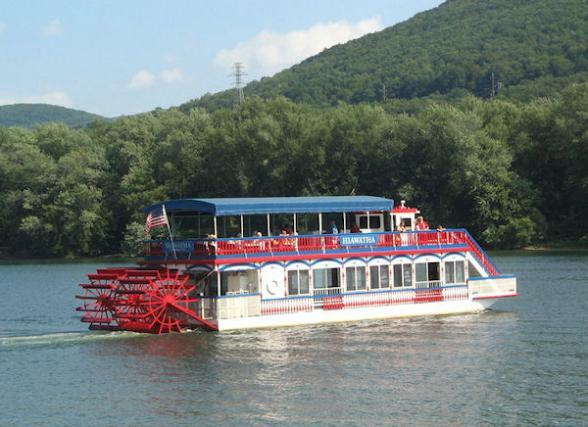 A tour on the Water Gap Trolley is a great way to learn about the area. Or head directly to the park headquarters for visitor information. 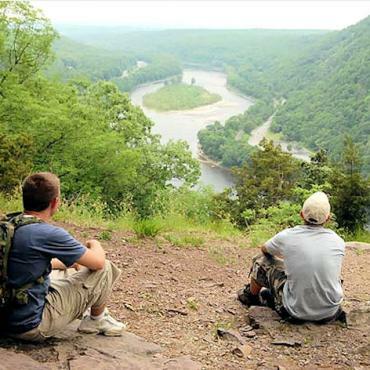 More than 25 miles of The Appalachian Trail traverse this area and the views are spectacular. Climbing to the top of the mountain for the view is really worth it. You can also rent a canoe or kayak and paddle the Middle Delaware and enjoy views unspoiled by man. Make sure to visit the waterfalls at Bushkill Falls – The Niagara of Pennsylvania and Dingmans Falls. After a great day spent exploring, spend the evening in Stroudsburg with dinner at the Stroudsmoor Country Inn, which is a favourite of locals and visitors alike. The Deer Head Inn is another great option. They have been offering live Jazz for over 60 years which makes this the longest running jazz club in the nation. 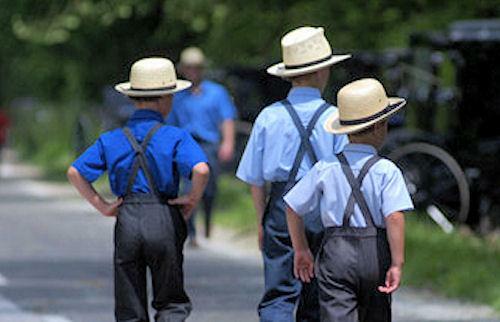 You’ll love visiting Amish Country in Lancaster County to experience their slower pace of life and simple living. With traditions dating back centuries, Lancaster County is home to the oldest group of the Old Order Amish, the Plain People who settled in the 1720s, fleeing religious persecution. The best place to gain an overview of the Amish and Lancaster County is the Discover Lancaster History Museum which features 32 life-size, in-depth exhibits that recreate 400 years of Lancaster’s heritage. You’ll relive events such as the French and Indian, the Revolutionary and Civil Wars and explore the variety of cultures represented in central Pennsylvania. Explore Lancaster on the selfguided walking tour. In the centre of one of America’s oldest inland cities, Central Market still serves serves as a bustling centerpiece and nearby streets are alive with shops, galleries and restaurants. 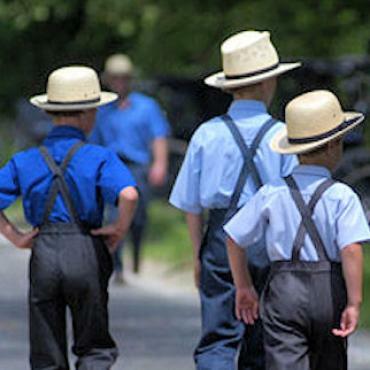 You’ll find Amish culture at The People’s Place, considered the most authentic educational and heritage center explaining Amish and Mennonite cultures any where in the world. After exploring the foundations of the two different religious sects, be sure to visit the People’s Place Quilt Museum that features antique Amish and Mennonite quilts and quiltmaking, along with other decorative arts. 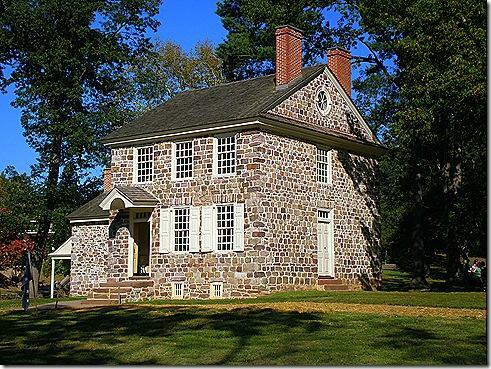 Before moving back to Philadelphia, you have one more stop in Valley Forge. Moving back in time to the Revolutionary War, you can see the sites where George Washington and his troops spent the winter. 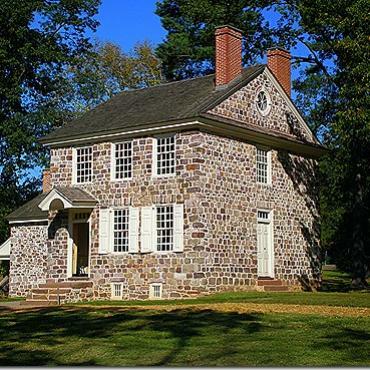 Learn about the region on the History of Valley Forge Trolley Tour with guided stops at several key places such as Washington’s Headquarters. Many of the area’s local dining establishments have been in business since colonial times. Try the Guard House Inn, the General Lafayette Inn and Brewery, or the General Warren Inne, for a memorable dinner. If your visit to Valley Forge is on a Saturday, spend an exciting evening at the famous encampment at Valley Forge and see what nights were like for the Continental Army under the leadership of General George Washington. 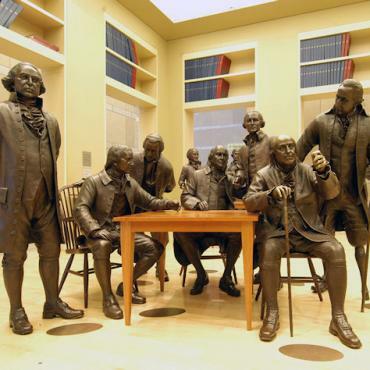 Begin your adventure at dinner with the troops before checking in at Washington's Headquarters. Kick back with your brigade around the group campfire as they tell you their soldiers' tales. 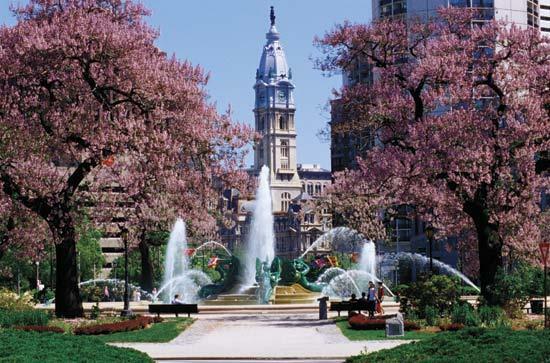 Philadelphia has always had delightful green spaces intertwined with its carefully preserved architecture. As William Penn planned the original core of the city and the streets and buildings expanded beyond, incorporation of refreshing green spaces was given a priority within the dense urban fabric. 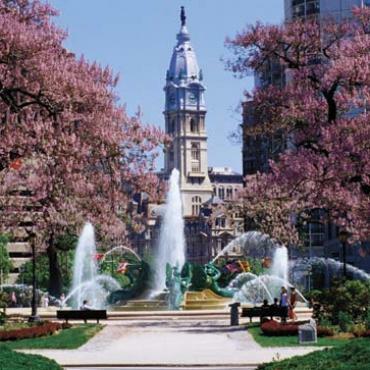 As the city expanded into the surrounding area, more of William Penn’s vision for a Green Country Town has been played out, resulting in a great variety of urban-based parks and gardens, as well as larger arboreta, research gardens and a world class Zoo. 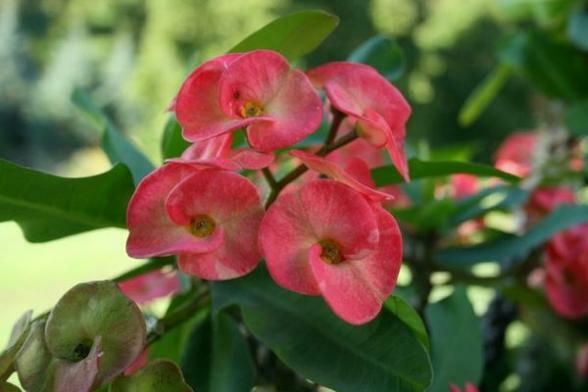 Beginning with Historic Bartram’s Garden, located right in the city, you can visit the Japanese House and Garden, and the Philadelphia Zoo, the Highlands Mansion and its gardens, the Morris Arboretum, Chanticleer, and the Bryn Mawr College Arboretum. Today it's time to head home. Grab some last minute tax-free shopping before you jet off. However, you may decide to extend your stay and take the train to New Youk City or Boston for some sight seeing and shopping or maybe fly down to Florida for some relaxation on the beach. 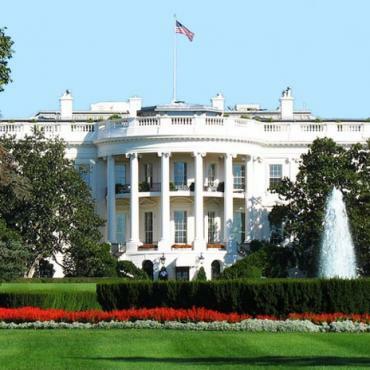 Call the USA travel specialists at Bon Voyage to discuss your ideal Highlights of Pennsylvania and Washington DC tour.